At the Jewish Federation of the Greater San Gabriel and Pomona Valleys we create opportunities for our community to engage Jewishly with one another. We invite you to plan your legacy now and give future generations the same opportunities to experience our vibrant, local, Jewish life, by including the Jewish Federation in your planned giving. Planned giving is the transfer of assets to a designated non-profit organization during a lifetime or as part of an estate plan. This win-win approach to philanthropic donations enables you to support the Jewish Federation and can benefit you now or in the future. This forward thinking approach to giving is "planned" because often these assets are not liquid, have tax implications, and are generally transferred via a will or other written means. Planned giving is easy to do and you don't have to be wealthy to do it. Whether it is naming the Jewish Federation in your will or trust for a modest amount, or a gift of house or property, there is an easy option that is right for you. Planned giving is a powerful took to help you meet your financial goals and objectives while simultaneously supporting our local Jewish community. For more information contact Jason Moss, Executive Director at (626) 445-0810 or jmoss@jewishsgpv.org. All of us can leave a lasting legacy. Make a difference in the lives of future generations. 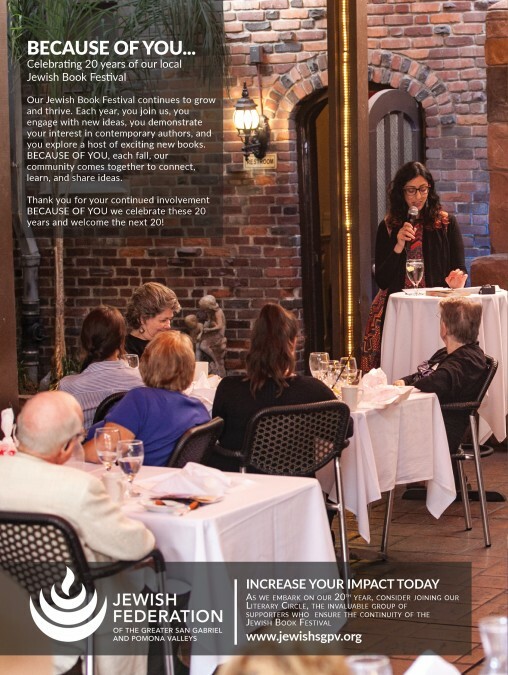 Inspire community members to express their passion, purpose, and commitment to our shared, Jewish, future.